A Diverse Mix of Mediterranean Styles. Experience the warm delights of Greek and Mediterranean cuisine at Santorini Restaurant in San Carlos. 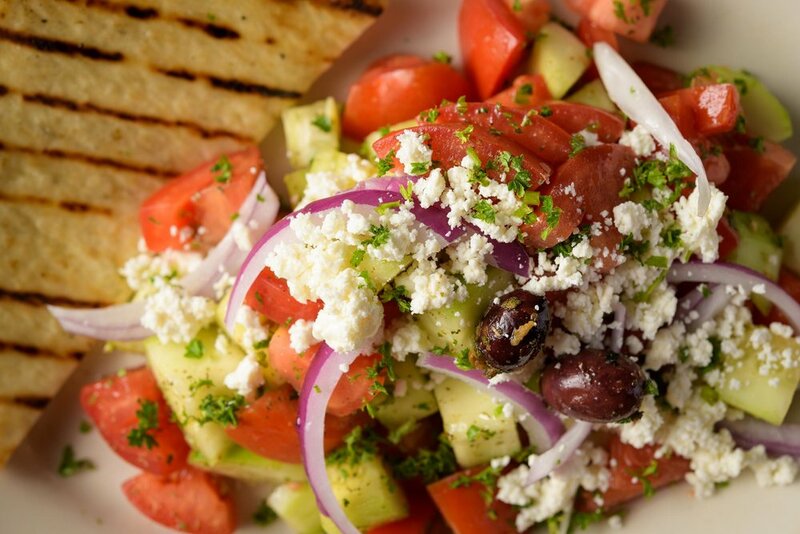 Santorini Mediterranean Kitchen has been serving our acclaimed Greek Mediterranean fare since 1998. Our reasonably priced plates are served in a café setting that is perfect for lunch meetings or relaxing family dinners. At Santorini's our love of food is only surpassed by the love of family and friends, making our San Carlos catering services a favorite of ours. Greek catering for your corporate or special event allows you enjoy the healthy and delicious Mediterranean cuisine you've always known and enjoyed at Santorini's, while allowing us to do what we love best. With a plethora of appetizer and entree choices, our Greek menu is sure to please each and every one of your event attendees with a wide variety of healthy and delicious options. Enjoy a cornucopia of Greek and Mediterranean dishes that are always freshly prepared and that can be customized to your dietary requirements. We take pride in sharing our culinary creations and passion for healthy and delicious food. Our cuisine is prepared in the traditional Greek manner and with a Mediterranean flair. Furthermore, our dedication to impeccable dining experiences translates to our catering service; your complete satisfaction is our total focus. Create a memorable and lasting impression with Greek catering by Santorini's. We look forward to helping you create a menu that is sure to please. Call us at (650) 637-8283 for full details and further information.